ST.PETERSBURG, May 18. /TASS/. 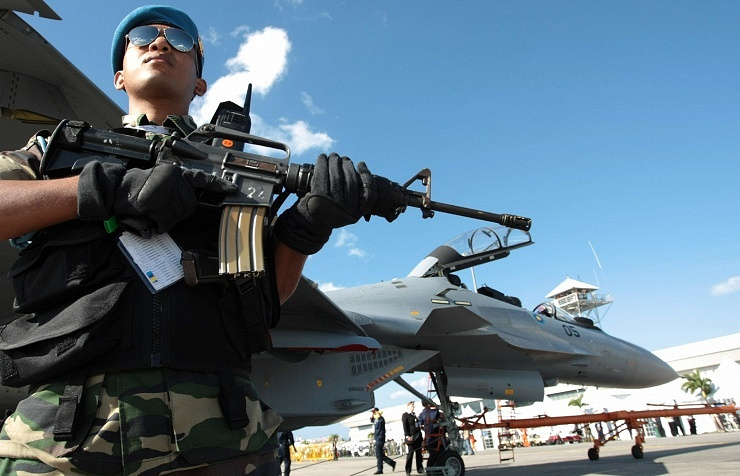 The governments of Russia and Thailand have signed an agreement on military cooperation. The document was inked after talks between Russian Prime Minister Dmitry Medvedev and his Thai counterpart Prayut Chan-o-cha in St. Petersburg on Wednesday. According to the Russian prime minister, Russia and Thailand are expected to reach the annual trade turnover of $10 bln in prospect. 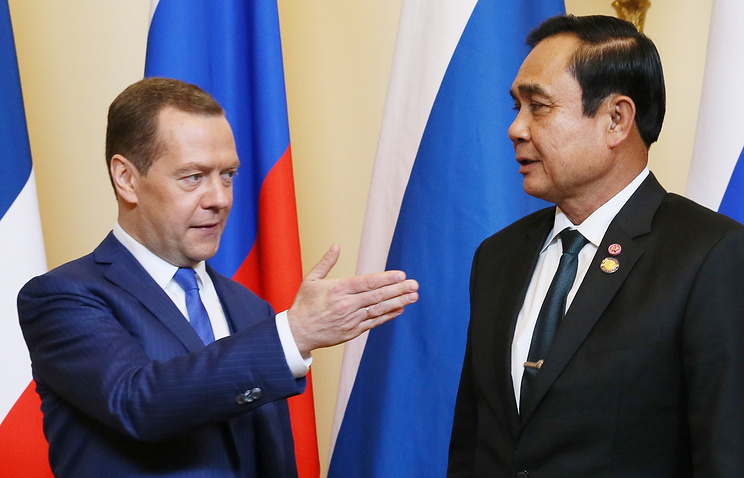 "In the future we should reach the target, we agreed upon during my visit to the Kingdom of Thailand - to reach the annual turnover of $10 bln," Medvedev said after the talks with the Prime Minister of Thailand Prayut Chan-o-cha. The Russian Prime Minister attributed the downward trend in the bilateral turnover between two countries to the dynamics of the ruble rate and price. At the same time he named cooperation in investments sector as a positive example of the bilateral cooperation. According to Medvedev, along with the economy, tourism was also discussed at the talks. Considering that some foreign resorts are closed for Russian tourists Thailand will be one of the most attractive destinations for them, he said. In this regard during the talks the parties discussed how to ensure safety of stay of Russian tourists in Thailand, he added. Speaking about the results of the talks, Medvedev called them "friendly and constructive". Russia’s financial monitoring service has also signed an agreement on countering money laundering with Thailand. The agriculture ministries of the two countries have adopted a memorandum on mutual understanding. A similar document was signed by the heads of Russian and Thai nature resources ministries and also Russia’s Economic Development Ministry and Thailand’s Ministry of Commerce. Russia’s agricultural watchdog Rosselkhoznadzor and Thailand’s fisheries department signed a memorandum on mutual understanding in controlling safety of imported and exported fish products.